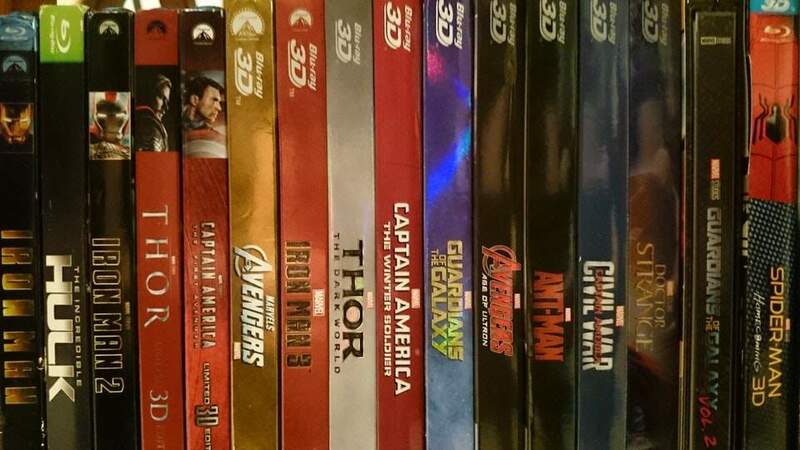 Could someone please list or point me in the direction of a list of all the MCU films that have a 3D Blu-ray. Also any recommendations of the best prices to purchase these films. Many thanks for any help given. Most if not all are in 3D and the best price would be the cheapest. Huge fan of the MCU! [Image] Most if not all are in 3D and the best price would be the cheapest. Your idea of help leaves much to be desired, why bother even commenting if you are not trying to be helpful? Have you not had enough attention today? This community used to be great for advice and info, nowadays to many users like you I guess. Your idea of help leaves much to be desired, why bother even commenting if …Your idea of help leaves much to be desired, why bother even commenting if you are not trying to be helpful? Have you not had enough attention today? This community used to be great for advice and info, nowadays to many users like you I guess. I was being 100% serious. All the film are out in 3D, so that's your first question answered and you asked what would be the best price, which is obviously the cheapest. I don't understand what more you want. Tell me what other piece of information you want and I will endeavour to help out. If my tiny bit of sarcasm is too much for you then you should really get a life. Your are so right. The COMMUNITY used to be great for advice and info. The problem is the actual community that contributes any meaningful activity is shrinking. Leaning the people within that community a bit jaded. So many people come on here and take, take, take. So the knowledgeable end up giving advice and being worn thin. I was being 100% serious. All the film are out in 3D, so that's your first …I was being 100% serious. All the film are out in 3D, so that's your first question answered and you asked what would be the best price, which is obviously the cheapest. I don't understand what more you want. Tell me what other piece of information you want and I will endeavour to help out. If my tiny bit of sarcasm is too much for you then you should really get a life. Seems like the actual answer is all of them Except iron man 1,2 and the incredible Hulk (found from a more helpful group) and as for prices, this being a deals site I thought maybe somebody knew of a good deal or offer at the moment from a particular retailer. So no your "Help" was nothing of the sort. Seems like the actual answer is all of them Except iron man 1,2 and the …Seems like the actual answer is all of them Except iron man 1,2 and the incredible Hulk (found from a more helpful group) and as for prices, this being a deals site I thought maybe somebody knew of a good deal or offer at the moment from a particular retailer. So no your "Help" was nothing of the sort. As you can see in the picture I posted iron 1 and 2 and hulk are non 3D the rest are 3D. "any recommendations of the best prices to purchase these films" to me is a silly question. Someone has just posted a deal for the Marvel 3D Bluray discs. Here is the link in case you have not seen it yet. I'm sure the 2 for £18 on 3D marvel is on atm...just seen in Sainsbury's.